We all have our own idea and notions of love, but if you believe that love is about simplicity and letting people and events speak for themselves, the Tuscan Romance Wedding invitation from Best Day Ever is an excellent choice. This style of wedding invitation looks deceptively simple and straightforward at first but as you continue to look at it, different features and benefits spring forth, giving you a lot more to focus on. For many people, Tuscany is an idyllic destination and if you have spent any time there, this would be an ideal wedding invitation. The Italian destination has inspired thousands of love stories all around the world and if you are looking to strengthen your own love story while providing your guests with all of the information they need to know, this is definitely going to be the perfect way for you to do so. 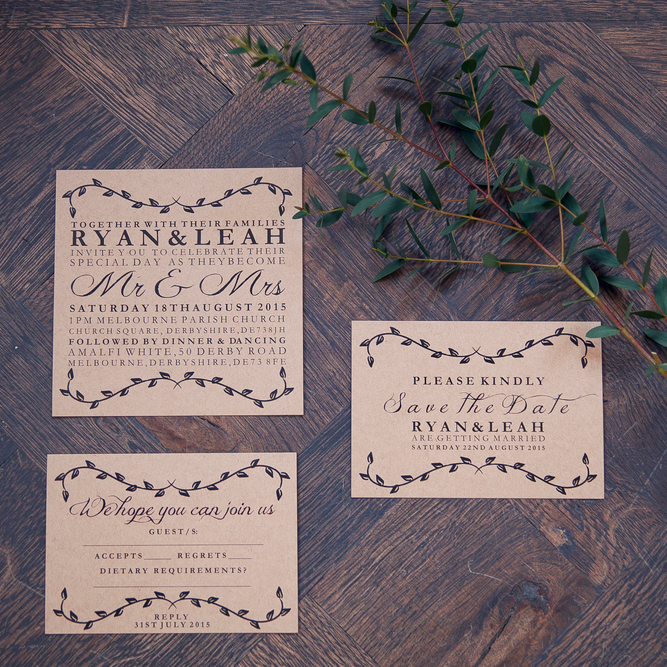 The design of the invitation features olive branches and the use of script and serif fonts combines the classic timeless nature and the modern outlook. If you are looking for a contemporary style with a twist of vintage, you will find that this invitation hits the spot and will provide you with everything you could be looking for to connect with your guests. Whether the invitation is a symbol of your love or a suggestion of the sort of event that you are looking to host, you will find that the Tuscan Romance Wedding Invitation is the perfect option for couples who believe in the majesty and simplicity of love.